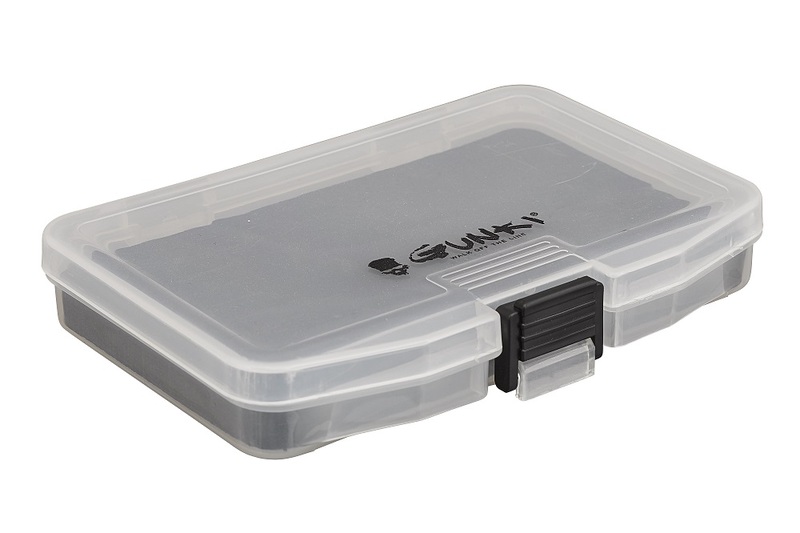 Gunki Spoon Box is a transparent ultra flat box that slides easily in your pocket. The base is covered with high density EVA with 10 storage compartment dividers spaced 8mm apart. Handy box for spoons and small lures. Comes with an eyelet on the outside to attach a string or cord for safe keeping. New fro 2019...In Stock Now!! !